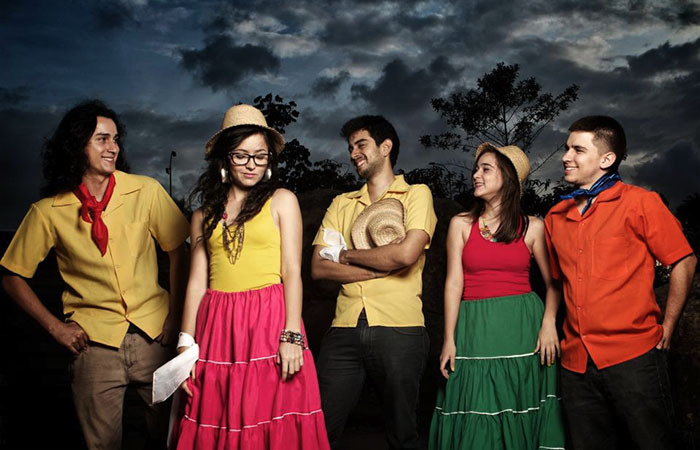 This young Colombian Urban folklore band has released its first album called “Llévame a Colombia” (Take Me to Colombia) in the city of Bucaramanga. Led by Natalia Morales, this musical project is a trip through the folkloric Andean and Caribbean rhythms like danza, guabina bullerengue, bambuco and tambora, developed with a particular style where the influence of the world music from other far places rings true. This project is made up of university music students who decided to dedicate their talent and creativity to recreating and paying tribute to folkloric Colombian music. After some years of participating in local and regional music festivals and competitions this young band was awarded a bursary by the Instituto Municipal de Cultura (District Institute of Culture) in Bucaramanga, Colombia to create and record their first album. As a result of this bursary the particular listener has, in their hands, a meaningful and profound musical work that not only pays tribute to Colombian folklore but also expresses a personal and jazzy take on typical Colombian rhythms. The six-member group shines together as they play the songs presented in this album; there is an obvious magical synchronization, full of taste and feeling in each beat and word. A beautiful dialog between melodic lines creates a unique pattern in each song where all the instruments play a role combining and creating a pure and powerful sound. As a pianist, singer, composer and arranger Natalia Morales incorporates interesting arrangements of the themes without losing the essence of the typical Colombian rhythms including subtle textures and colors from other sonorities like jazz and rock, keeping the most pure texture of the folklore. Natalia brings to the stage a sophisticated interpretation of folklore creating a vivid sound that new generations of listeners will be interested in. Her wide-range voice has virtuosity to softly shift when it is necessary according to the musical verses. She has the talent to transform the colors of her voice from a velvety interpretation to a strong and deep sound in a soft and magical way where the listener does not even realize the changes, but instead feels them. “Malas, malas” (Bad, Bad) is a case in point that highlights this style; her angelical voice starts off slowly in the first lines of this song, the beats gradually increase and so does the range of her voice. She plays with the listener and her musical kindness creates a touching game of poetry, taste and soul. Some remarkable themes on this CD include “Todas las flores” (All the Flowers) and “Suena el viento” (Wind Sounds). The first one starts with a poignant intro where the electric guitar chords are amazingly well played leaving the perfect musical spot for Natalia’s whisper. As the lyric lines are sung, the musical tension increases to an emotional point of flavor and soul. The second song has a modern intro full of short and looping piano and guitar chords that seems to introduce a jazz theme but after some syncopated beats; the melancholic singer’s voice comes out with profound emotion. Miss Morales displays an indescribable emotion in her interpretation here showcasing her artistic vocal talent to sing folklore with maturity and virtuosity. Not only is the music beautiful, but her lyrics are very well written. 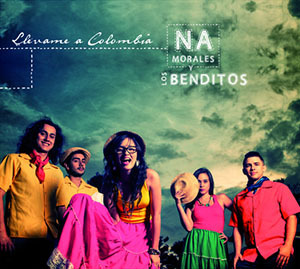 They talk about respect for Colombian places, love, and music itself. Miss Morales’s songs can easily attract some of the finest music lovers and folklore collectors around. This is only the beginning of a great and talented band that is betting for an idea that nowadays is not the most popular one among young people, maybe for this reason is why is priceless in term of music and market. Tracks: 1. Aguacerito de mayo (Little Rain of May), 2. Fui y volví ( I went and I came back), 3. Todas las flores (All the Flowers), 4. En pocas palabras (In a few words), 5. Seis cuerdas (Six Strings), 6 Suena el viento (The Wind Sounds), 7. Malas malas (Bad, Bad), 8. Quédate (Stay! ), 9. Tacho, 10. Te agradezco (I am grateful to you). Personnel: Natalia Morales: vocals and piano; Oscar Cortés: bass (3, 4, 8 and 9) and coro (8); Antonio Obando: bass (1, 2, 5, 6 and 7) and piano (10); Daniel Rivera: guitars (all) and coro (2, 3, and 8); Ana María Rueda: coro; Sebastián Loaiza: drums, percussion (all) and coro (2, 8, 3).